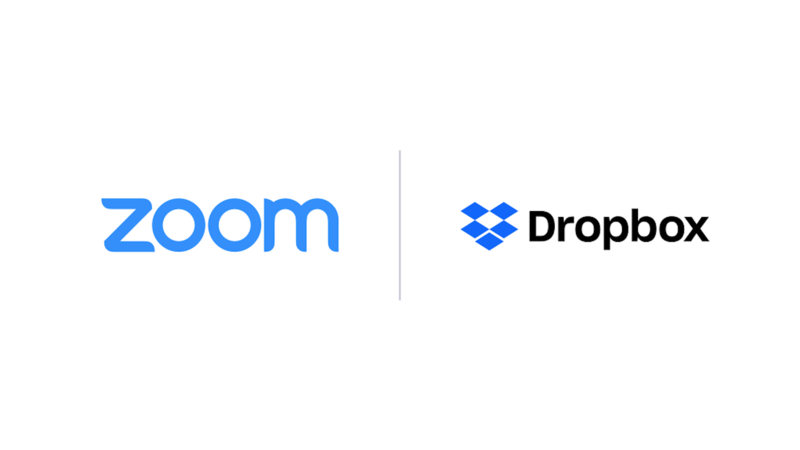 Today Zoom announced that we have formed a strategic, multi-phase partnership with leading collaboration platform Dropbox. The first stage of this partnership involves the development of integrated workflows between the two solutions as well as a strategic financial investment by Dropbox in Zoom. The workflows will allow joint customers to seamlessly collaborate with the combined power of these solutions, extend Zoom’s functionality, and expose the video communications leader to hundreds of millions of Dropbox users. Subsequent phases of the partnership will involve deeper embedding of Zoom into the core Dropbox product and UI, as well as go-to-market programs. The Zoom and Dropbox integrated experience provides instant, real-time video communications within content storage and sharing. This allows users to get more done faster, with streamlined content organization and better communications. Whether you’re working with someone across the hall or across the country, the right products should make it seamless to collaborate and stay in sync,” said Drew Houston, co-founder and CEO of Dropbox. “We’re thrilled to join forces with Zoom — together, we’re making it easier for customers to do their best work. Partnerships with best-of-breed companies like Zoom help us deliver on our mission of designing a more enlightened way of working. The Zoom and Dropbox integrated workflow experiences will be available in the first half of 2019. To learn more about this exciting announcement and Zoom’s entire communications product suite, sign up for a personalized one-to-one demo with a Zoom product specialist today!